This guide provides you help for obtaining all available achievements. Ancestors Legacy has currently a total of 37 Achivements, seven of them are hidden/secret. You can unlock all of them in singleplayer so there is no need to play online. Nevertheless it is possibe to unlock some of them in online multiplayer if you want to. There are no known bugged achievements so its possible to complete the game 100%. Most of the achievemtents are quite easy to obtain, you just need to know how. This is why i made this guide. Now have fun hunting achievements and playing this awesome game! These achievements are unlocked by finishing the different chapters of the campaign. The first Viking campaign as Ulf Ironbeard is also the tutorial for this game. You can already get almost half of all available achievements for this game during this campaign. It consists of five chapters where you slowly learn the mechanics of the game. This one is rewarded for finishing the fith and last mission of Ulf's campaign. You need to raid the monastery of Lindisfarme. In the second campaign with the Vikings you are playing Rurik. There is only one storyrelated achivement that will be awarded if you finished the last chapter of Ruriks campaign. Finish the last mission of Edward's campaign. Finish the last mission of Harold's campaign. This is the second campaign of the Anglo-Saxons. Finish the last mission Rudolf's campaign. Finish the last mission of Mieszko's campaign. All of these achievements are possible to unlock in campaign or in skirmish mode. Many of them you'll unlock simply by playing the campaign without extra effort. If there is a special mission where it's easy to get i'll note it. Where: Second mission of Ulf Ironbeard's campaign. You have to set up a trap during the turorial anyway and will be rewarded with the achievement. Where: Third mission of Ulf Ironbeard's campaign. Here you will learn how to detect and destroy enemy traps. Simply enable the defensive mode (Hotkey Y) and enemy traps are visible. The right click on it to attack it. In this mission there are two enemy traps so you either replay it till you got the achievement or you keep on playing campaign/skirmish matches until you found another three traps. Where: Fourth mission of Ulf Ironbeard's campaign. You will obtain control of a village for the first time in this mission. You can raise the defense of your village by clicking on the icon on bottom left. You only need to have enough resources for the upgrade. 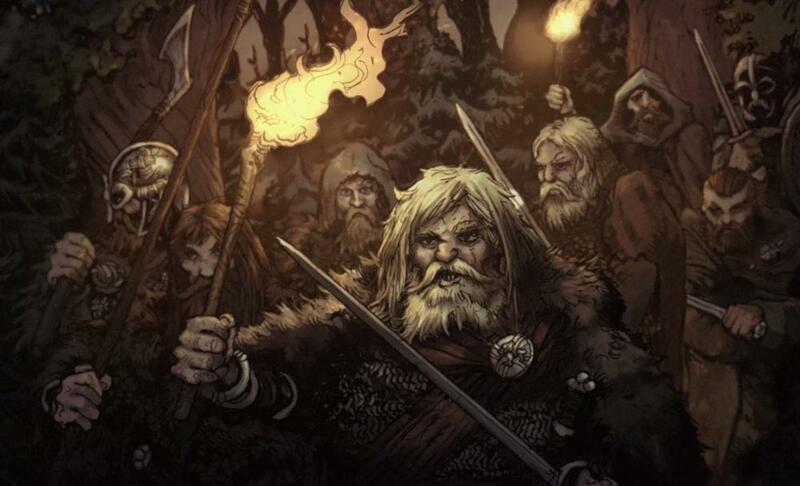 Where: Fourth mission of Ulf Ironbeards campaign. If you conquered a village, simply click on the alarm/bell icon in the village-menu and you're peasants will quit working and run to the center to defend the village. Afterwards, just click on it again and they will continue working and producing resources. Where: Any mission or skirmish. Build at least two archer squads, attack an enemy squad and avoid any melee attacks with either your other troops or the archers themselves. Where: Any mission or skirmish. If you have enough iron stored you can upgrade your troops in the control panel by clicking on the corresponding icon. Lvl. 3 is the maximum. Where: Any mission or skirmish. If a squad is losing soldiers, retreat back to your base or to a village. There you can replenish your squad. You'll get this anyway by the time. Where: Any mission or skirmish. Your squads gain experience by fighting and killing enemies. If they rank up, you'll be noted. Now you can specialize your squad with three different traits. It's doesn't matter which on you choose. Where: Any mission or skirmish. When conquering a village your first step should be upgrading it's resources. Doing this will send your villains to it's mines and fields for work. 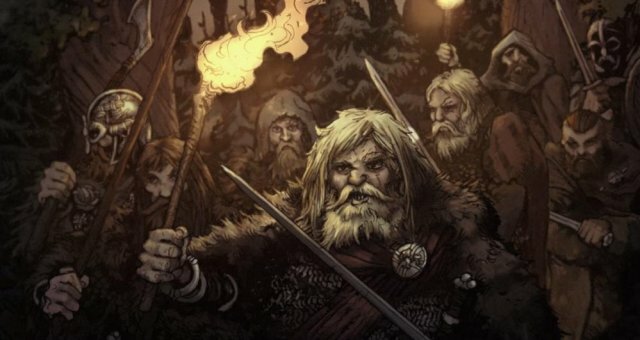 Where: Second mission of the second campaign as Vikings. A village with gold defense has better defense (obviously). In this mission you can find a village on bottom right. Destroy the town hall, capture it and the achievement will be yours. Where: Any mission or skirmish. Keep your units alive and fight. By killing enemies they will gain experience. The maximum lvl is 5. It shouldn't be hard to reach this in a long mission. Where: Any mission or skirmish. By leveling up your troops unlock a veterancy. Repeating this ten times will happen automatically during your playthrough. Where: Fith mission of Ulf Ironbeard's campaign. In this mission you will have the chance to build a siege machine for the first time. After you destroyed the wall in the mission (which doesn't count) simply aim on any other building nearby. Where: Any mission or skirmish. The easiest way to track your progress is if you play multiplayer/skirmish vs every available faction. Where: Any mission or skirmish. You can either play shirmish/multiplayer with every avaiable faction or you play every campaign and build all available units. Those three are pretty obvious and easy to achieve so i guess there's no further description required. Find a partner to boost this online or try your luck against (easy) AI. I'll add further description if i found the best easy way to do this. This will be the hardest multiplayer achievement. I'll test if its possible in team fights, which might be easier. Ancestors Legacy has 7 hidded achievements. They are usually rewarded for some extra-effort in some of the campaign missions. I listed all of them here but since i haven't unlock every single one i will add further description as soon i got them. By now you can at least see the description which might help you as well. Where: In the fourth mission of Ulf Ironbeard's campaign. After capturing the final village your ally will apear. He's got a fleet of 12 ships and you need to make sure at least 8 of them survive. Be fast and destroy the catapults before they sink the ships. I guess you will need to cap all villages in a mission of Rurik's campaign. Sounds like you have to collect some armor pieces in a mission of Rudolf's campaign. You need to produce five catapults before the night comes in Edward's campaign. This means you need to collect enough resources and build a blacksmith to research catapults as fast as possible. This one is rewarded for capturing the village Kopytko in Mieszko's campaign. You need to kill a total of 2000 peasants. One of the Devs stated any peasant on the map that gets killed counts towards this. Where can I find a large number of peasants? Peasants in enemy base (standing near buildings, extinguishing buildings, reapairng/building) also count to this achievment. Be fast and kill Harald within 5 minutes. I'll add further description if i found the best way to do it.